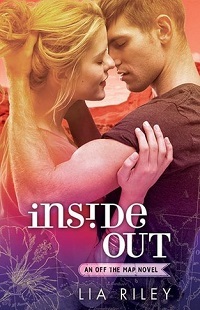 Welcome to my review of the audio version of Inside Out by Lia Riley, the third book in her Off the Map series, and the conclusion of Talia and Bran’s relationship. 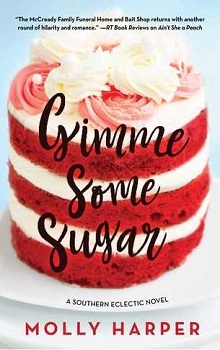 Quickly becoming one of my must read (or listen) authors, Lia Riley has brought both of these characters (occasionally kicking and screaming) through great struggles growth points and realizations, and the narration of Brittany Uomoleale and Tim Wright have delivered on those moments with style! Picking up right where Sideswiped left off, this story finishes the tale of Talia and Bran, and their relationship. The series isn’t over, as some of the secondary characters get their own moments in the spotlight. You can’t really jump into the middle of this series, you’ll be confused AND you will lose the impact of the growth and journey, missing just how real these characters have become. Lia Riley delivered a story full of heart, several crazy twists and an ending that was just how it should, and could be. It wasn’t explosive, unlike much of their relationship, but a gradual descent into reality: the reality of the world around you and the pressures that come to bear. Of all the choices I could have imagined, I never believed that it would be so fitting, and so satisfying. Well played author…. Seriously well played. Narrators Brittany Uomoleale and Tim Wright have returned again, and their familiar presence, picking up in character, tone, voices and delivery from the earlier books gives a sense of constancy in the series. Their voices are appropriate for the ages of the characters, the dialogue works perfectly with a dual narration team, and the interplay between the narrators seems to develop a feel of its own, adding the emotional component that is so needed in this story. Certainly a favorite combination of story, narration and writing style, if you like NA – this is one to grab.